The countries represented in the OSCE Minsk Group in the status of co-chairs are in a constant competition in search of a more viable role in the negotiations over Nagorno-Karabakh (Artsakh), but Russia, apparently, demonstrates a more proactive stance by initiating the meeting between the Armenian and Azerbaijani foreign ministers, Arthur Martirosyan, an expert in negotiation affairs (CMPartners, Cambridge, United States), said in a recent interview, commenting on the summit between Zohrab Mnatsakanyan and Elmar Mammadyarov. ''Russia, as a new kind of empire – a non-traditional one – has always pursued and still pursues state interests for which it has to undertake specific steps in order to serve them. And we cannot possibly envision such steps beyond the framework of those interests. It pursues national interests – which we need to try to understand – to grasp the context of regional processes. And last but not least, it is important to pay attendtion also to the developments in the Russian-Turkish relations,'' he told Tert.am on Tuesday. The expert admitted that Russia tactically wishes to emphasize its advantage over France and the United States – the other co-chairing countries – in terms of having the greatest role in the entire process. ''Russia’s strategic objectives are even harder to interpret as we need a little more time to do proper analysis. I am hopeful there are specialists in Armenia dealing with the issue. ''But in the more general perspective, Russia is trying, in every possible way, to widen the crack between Turkey and NATO. Hence logically, Russia's somewhat increased influence will strengthen their positions also in the negotiations with Turkey and Azerbaijan over Karabakh,'' he noted. Asked whether Armenia needs to adopt more cautious policies in the light of Russia's intensifying proactivity, Martirosyan agreed that the kind of approach would be beneficial to the country (along with pursuing its national interests). Meantime he warned of a loose interpretation of what is commonly termed as “peace industry”. “Contacts between journalists and the societies will start again - coupled with several humanitarian initiatives. Yet, that should not be ever confused with the creation of a confidence-building atmosphere. A real trust is achieved in the transactional domain. 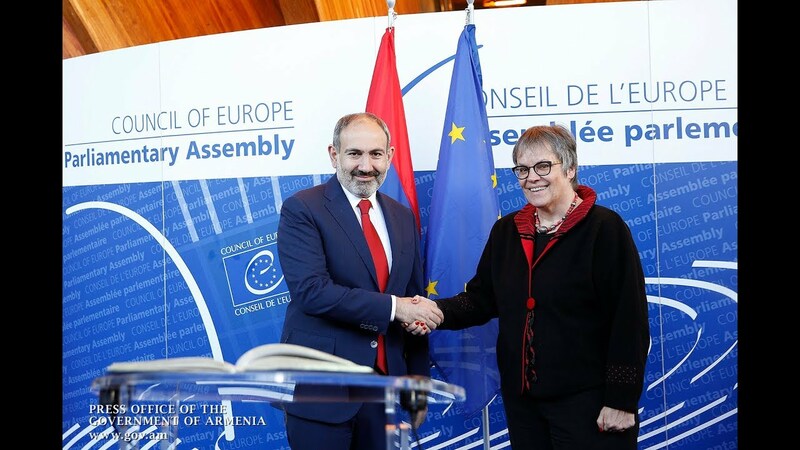 All this is certainly good, but should never be thought enough as a possible effort towards reaching confidence and entering into negotiations to understand the final outcome,” Martirosyan said, stressing the importance of a political willingness as a paramount objective of peacebuilding. Asked whether the call for a humanitarian dialogue - emphasized in the statement summing up the Mnatsakanyan-Mammadyarov meeting - gives ground to concern that Artsakh has been excluded from the process, the expert hesitated to predict a specific scenario. “It is hard to say that in point of fact. An arrangement was reached, for example, for [allowing] visitations to prisoners of war by their relatives. It isn’t quite clear in what they are going organize that when it comes to the Azerbaijanis in Atsakh. The Artsakh leadership has to virtually guarantee the security of the Azerbaijanis going there,” he said, highlighting the inevitability of Azerbaijan’s negotiations with the authorities of Karabakh. “They will try to insist also on Russia’s intervention to urge Armenia to take upon the security guarantees. But that will be a very big omission on the part of Armenia. The permanent focus should be on negotiating directly with Artsakh, as Artsakh itself has to guarantee the Azerbaijanis' security,” he added.